Derrick Jones Jr. does the honors. 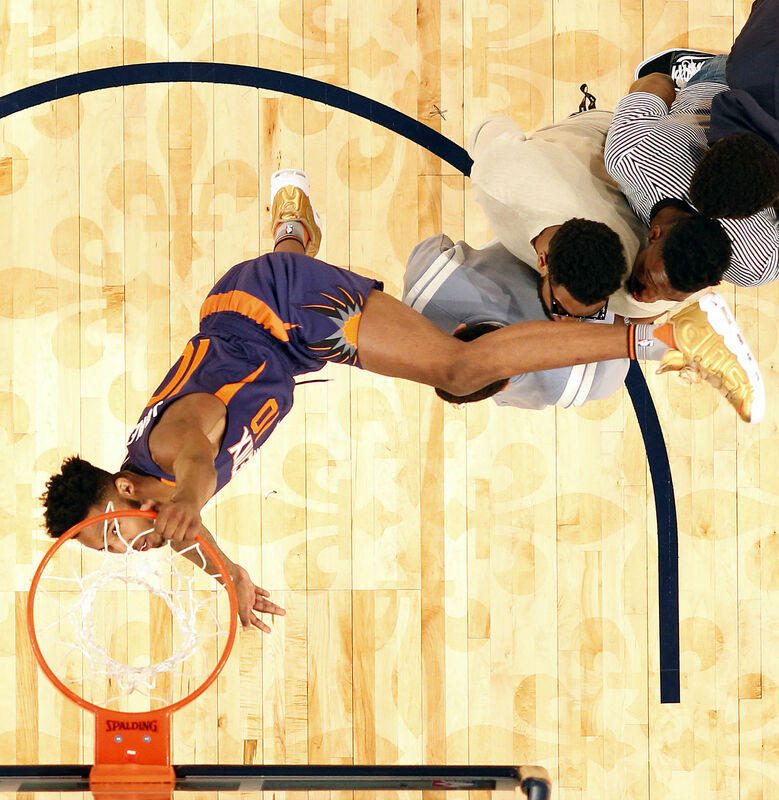 Dunk Contest participant Derrick Jones Jr. is relatively unknown to anybody but basketball purists, so there wasn't anything much more surprising during All-Star Saturday Night than watching him debut the yet-to-release Supreme x Nike Air More Uptempo in metallic gold. Jones didn't come away with the victory, but he did advance to the finals and make a name for himself. 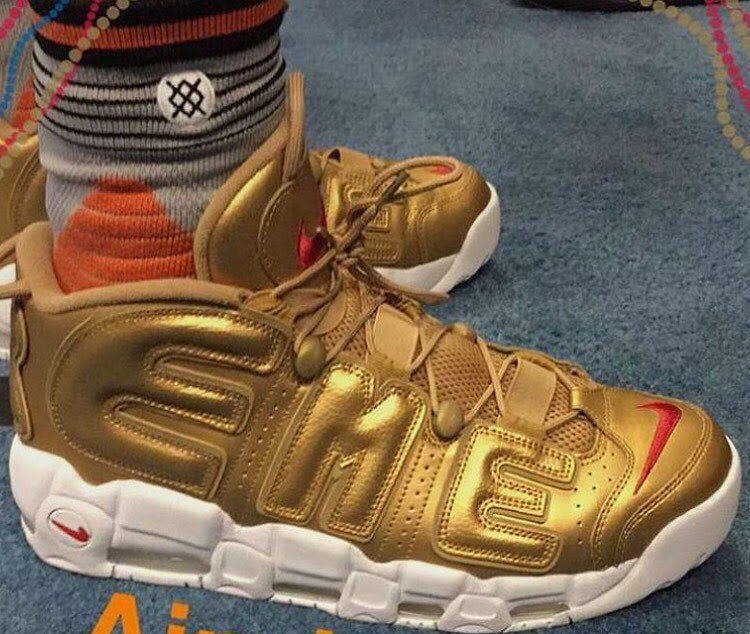 In the Supreme Uptempos, he cleared four of his Phoenix Suns teammates for a dunk. It's still unclear when Supreme will release the Uptempo collection and how exactly Jones received the call to take this pair to the court early. Keep an eye out for updates on both of these stories here at Sole Collector.